Is it time for a bedroom furniture upgrade? Has moving into a larger home created the need to furnish an additional bedroom or two? 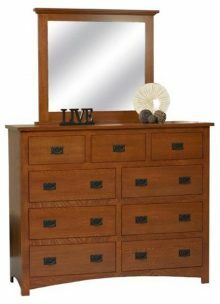 Whether youre looking to replace an old piece of furniture or are looking for an entire bedroom set, AmishOutletStore.com offers a complete selection of beautiful solid wood Siesta Mission bedroom furniture that is sure to bring you pleasant dreams for years to come! Siesta Mission bedroom furniture offers a simple, rustic charm that has defined the Mission style for more than a century. Many of our customers appreciate a traditional style in their home, and prefer to choose a complete bedroom set when it’s time to upgrade. That’s why we offer so many great collections with lots of different options, like our Siesta Mission series. 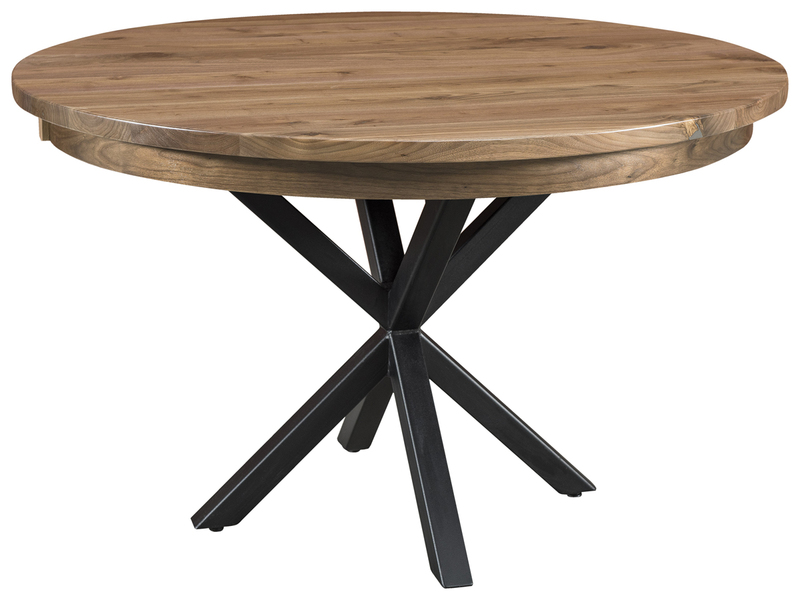 There’s no guesswork involved when you choose pieces from the same collection, with the same woods and same stains. Everything will match perfectly and provide a comforting, harmonious style. Others might prefer to mix and match from several of our different collections. 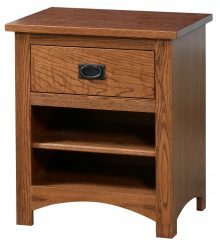 That’s the advantage of Amish solid wood furniture: pieces from completely different collections all have that solid appearance and those clean, classic lines. An Amish Mission bed and dresser, for example, can complement stylish, contemporary décor and bright, modern fabrics for a truly unique style that’s all your own. Our Siesta Mission collection features a luxurious king or queen size bed that will make for a distinctive centerpiece in your bedroom ensemble. You can also choose to add complementary pieces such as a Siesta Mission short or tall dresser with mirror, armoire, chest of drawers, or nightstand. 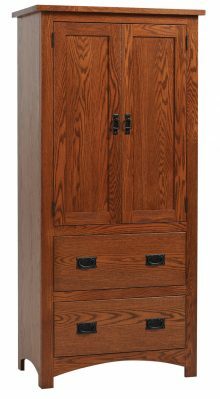 Our collection of Amish Siesta Mission bedroom furniture carries similar styles and designs to our other Amish home furnishings collections, and can match any décor. You get to choose your wood and finish, as well, which further increases the customization options. Some mass-produced bedroom furniture looks cheap and plasticy. The thin veneers used on particle board and laminates can be made to mimic real woodgrain, but they never really fool anyone. That’s not the case with traditional Amish solid food furniture. Amish artisans start with real northern, kiln-dried hardwood, carefully selecting each and every piece according to its natural beauty and grain pattern. They then carefully cut and hew each piece to create the various components for your Siesta bedroom furniture. After careful assembly according to their age-old traditions, they apply a stain of your choice to give a rich, deep, durable coating that will protect your bedroom furniture from daily wear and tear. the old-fashioned way! Amish furniture is known for its durability  many pieces become treasured family heirlooms that are passed down through several generations. You can also select from a variety of stain options such as Fruitwood, MX and Provincial, enabling you to customize the look of each piece to your bedroom décor. Buy Now and Save Up to 33%! 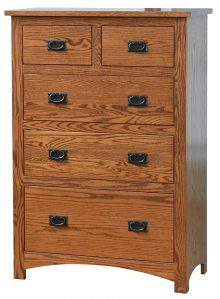 AmishOutletStore.com is known for providing the best handcrafted Amish furniture at affordable prices. Buy your Siesta Mission bedroom furniture today, and save up to 33% off our regular retail price. Volume discounts are also available that can provide substantial savings when purchasing multiple pieces or complete bedroom sets. We even offer a discount to customers who choose to pay for their furniture by check! With these kinds of savings, it’s hard to resist — especially when you know that your Amish hardwood furniture is going to last for generations. Think of it as an investment in quality. You get the benefit of beautiful, comfortable furniture that’s a joy to own and use, and years of use with no risk of it falling apart. The same can’t be said for mass-market furniture, held together with cheap plastic clips and hardware, and not designed to last more than a few years. Explore each piece of our beautiful Siesta Mission bedroom furniture by reviewing the individual product descriptions found on this page. You can use the convenient design tool to experiment with different solid woods and stains. That makes it easy to match your current décor or other pieces of furniture in your bedroom that you’d like to keep. You can even choose furniture from our Siesta Mission collection and apply different woods and stains for an eclectic style. That simply isn’t possible with mass-market furniture, where you’re forced to choose from a limited range of styles, materials and colors, and have no customization options. Add the classic, elegant style of Siesta Mission bedroom furniture to your home. 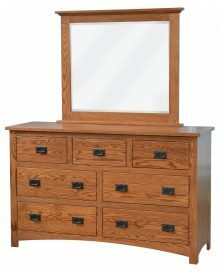 Order your handcrafted solid wood bedroom piece from AmishOutletStore.com today! Amish artisans from Ohio Amish Country use the same traditions and skills their fathers and grandfathers taught them that they learned themselves from their fathers and grandfathers. They choose quality materials that will stand the test of time, because Amish furniture isn’t meant to be used a few years and then tossed out. It’s meant to be passed on from generation to generation. That means that the Amish Siesta Mission bedroom sets you buy today will someday be in the home of your children, continuing to provide comfort and convenience for years to come.